WHO STOLE MY COPYRIGHTS - I talk about how my first book, the Atlanta Music Industry Connectionwas plagiarized word for word by a past business partner. 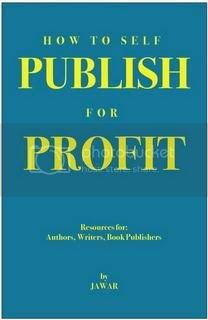 It got ugly ya'll the full details are in How to Self Publish for Profit. GETTING BOOK DISTRIBUTION- Here you're exposed to what distribution truly means and how to benefit from it. You are exposed to various forms of distribution and what may be most profitable for you in both the short and long term. Traditional and Now (New) Media is discussed in this section. You're empowered with information to help you sell more books. BRANDING, MARKETING, PROMOTIONS, PUBLICITY- Whatever your book genre fiction, non-fiction, technical, children, etc. your book has to have proper set-up and execution of branding, promoting and publicity without it you guarantee failure. You'll read the REAL DEAL on how to promote your book with small amounts of money. I give you some of the same techniques I use to Self-Publish my own books. You should have full faith in knowing that How to Self Publish for Profit is like having a Personal Book Coach and Consultant with you 24 Hours a Day, Seven Days a Week. You may access information you need whenever you want. With the ebook download you may have the book both on your computer and you may print it out, so you may take sections that are most important with you while traveling. Pay No Shipping, It's an Ebook!